Every year we purchase a live Christmas tree. I love the scent but I'm not one to actually decorate it. I leave that to hubby and the kids. I sure do enjoy the finished product though! 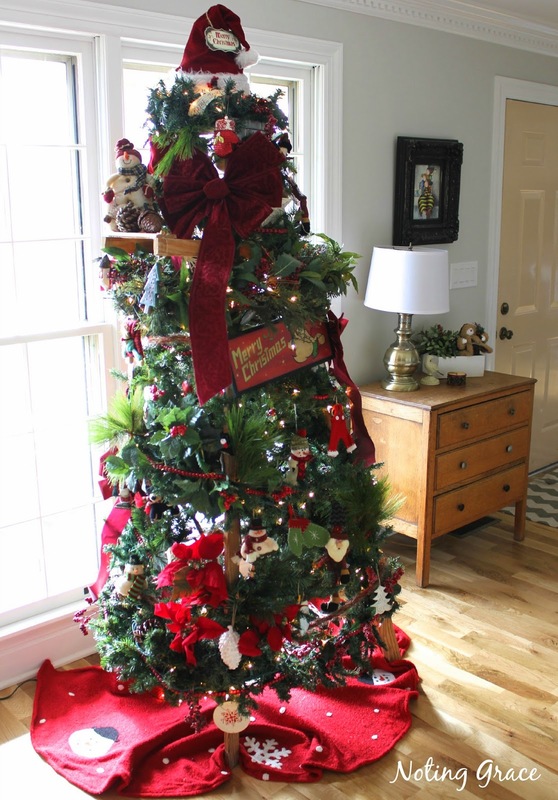 Here is an alternative to an actual tree from Noting Grace's blog - it's a budget friendly idea to use a ladder and wrap garland around it and then decorate that. This would be so great to put in a space where you don't have room for an actual tree but for where it would be nice to have a tall decoration. Admit it, it took you a minute to realize the photo was not of actual tree! What do you think of this idea? Would you use it or what other creative tree ideas do you or have you used?